GOTHAM: Is Fish Mooney Really Dead? 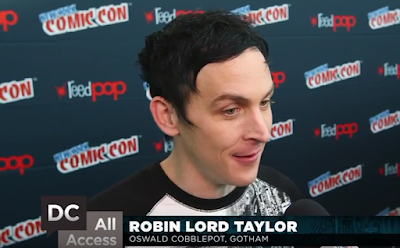 DC Entertainment dropped a new video that gives Gotham fans lots to chew on. All the main cast members of the Fox series weigh in on Season 2 "The Rise of the Villains". Ben McKenzie (James Gordon) even name drops Hugo Strange and the possibility that there's a "second life" possible for characters we think are dead. Robin Lord Taylor also says he hopes Penguin and Fish Mooney face each other again in the future.